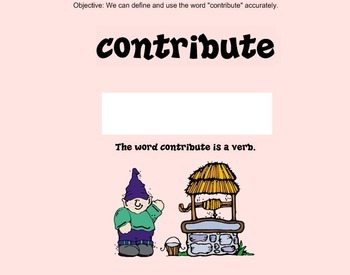 7 Step Academic Vocabulary SMART file for Contribute with real life examples as well as from the story, "Earth Smart". On slide 1 you can bring the word down over the white box and it will show the syllable break(s). On future slides you can move the colored box for sample answers to complete the sentence stems.